A real winter warmer… light and super nutritious. 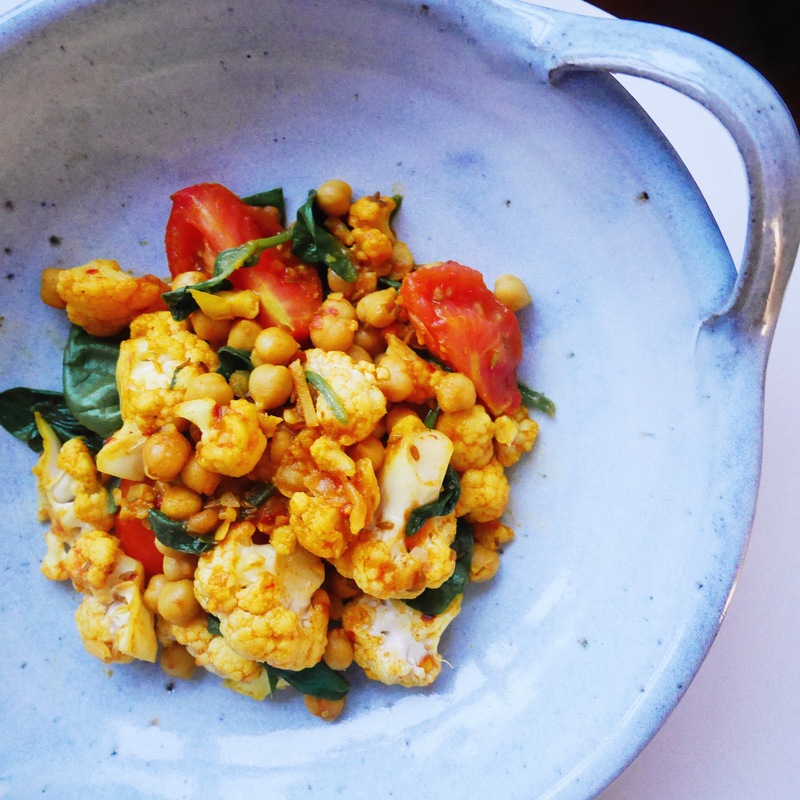 Turn the humble cauliflower into something delicious. Fry the ginger and spices in a little oil in a large lidded frying pan for a couple of minutes until fragrant. Add the cauliflower and season. Add chickpeas, tomatoes and a drop of water to loosen. 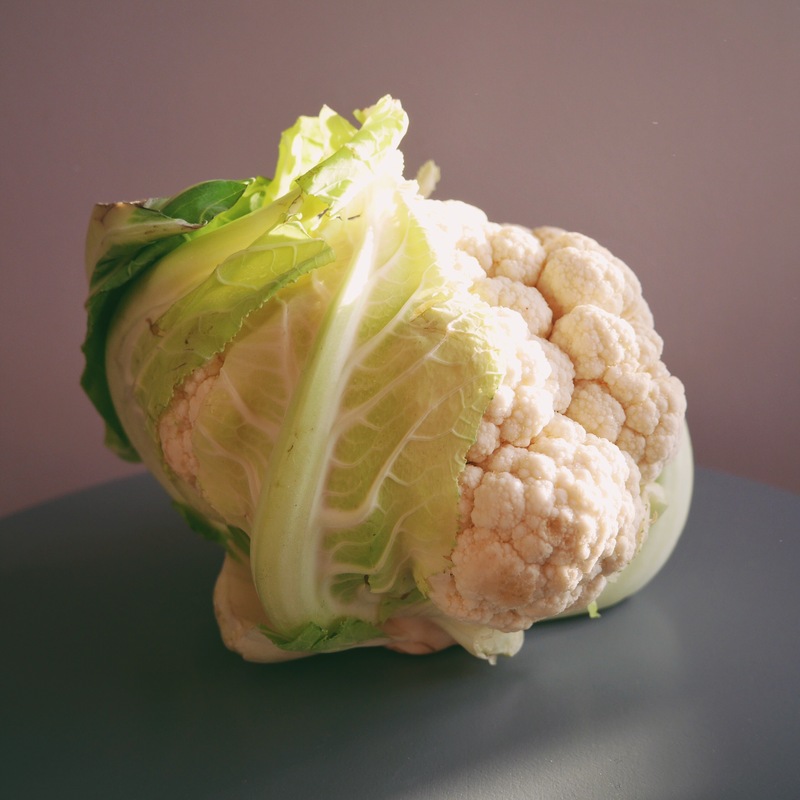 Cover and cook until the cauliflower softens (this could take up to around 30 minutes depending on the size of your florets). Add spinach until wilted. Serve with a green salad and some plain yoghurt. Enjoy!